The planning concept for the park is an expression of the traces of its past and the important moments of its history. 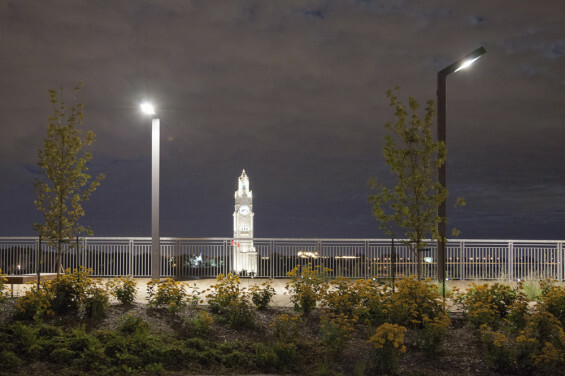 The esplanade also highlights the spirit of place found in the contemporary urban grid of the neighborhood. 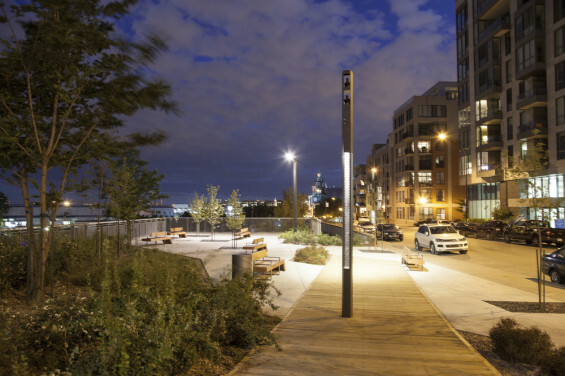 The park becomes a witness to the site’s history, commemorating it through three key landscape elements: the river and its piers, the vestiges of former railways lines, and the historic city in development. The Chemin-Qui-Marche Lookout is located at the junction of historic Old Montreal and its Old Port. Its name is derived from an aboriginal expression for the St. Lawrence River. Loosely translated, it means “the path that walks”. Rich with hundreds of years of history that includes its still visible industrial heritage, the project revives a long-abandoned industrial site. In addition, it contributes to the rebirth of the 18th century Faubourg Québec, the first neighborhood developed outside of the city’s fortified walls. Within a context of reurbanization, the park reintroduces qualities of character and atmosphere essential to the conviviality of the Faubourg. 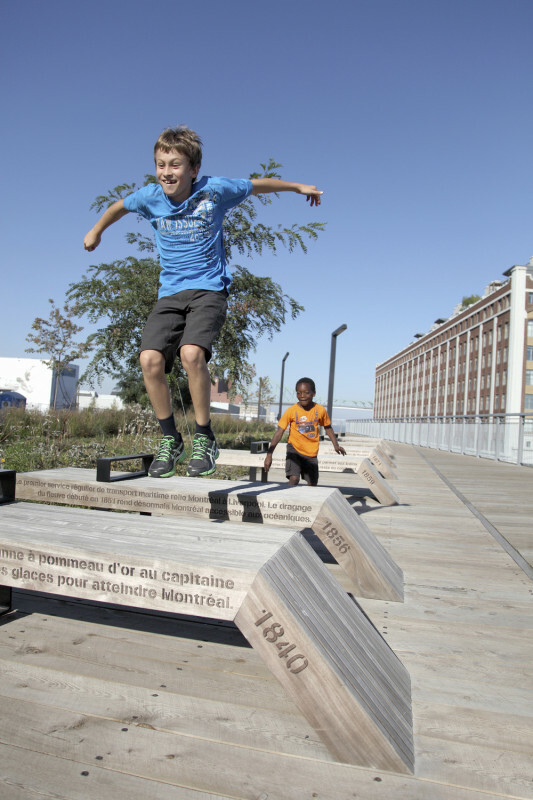 During the time of intense industrial activity in Old Montreal, wooden piers marked an important line between the river and the city. In such a way, the domain of the cargo vessels was shared with the city. 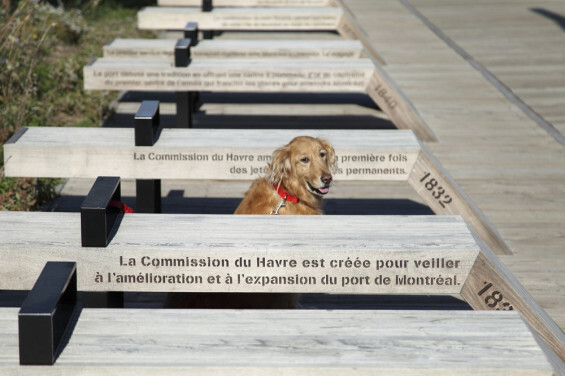 The linear park of the Chemin-Qui-Marche Lookout is adorned by wood decking that stretches the length of the boardwalk, in memory of the old piers. Numerous train lines criss-crossed the site in the early days of the city, providing access to the Port’s warehouses and the former Viger Station. The current park is situated on top of a still active railway tunnel, and evokes the importance of this use. Oblique axes enter into and traverse the site. Plantings accentuate the presence of these lines, and site furniture draws inspiration from the language of the railways. 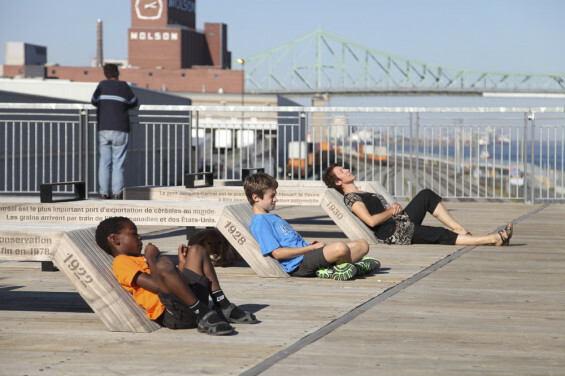 The site is an extension of the existing recreational and tourist network of Old Montreal. Along with the enhancement of the Faubourg Québec, the Chemin-Qui-Marche Lookout is anchored in the history of the city. Three important streets connect the park to Old Montreal. 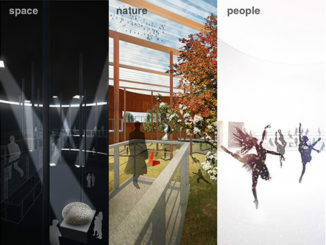 These connections create thresholds that invite pedestrians to become aware of the past, present and future of this unique place. 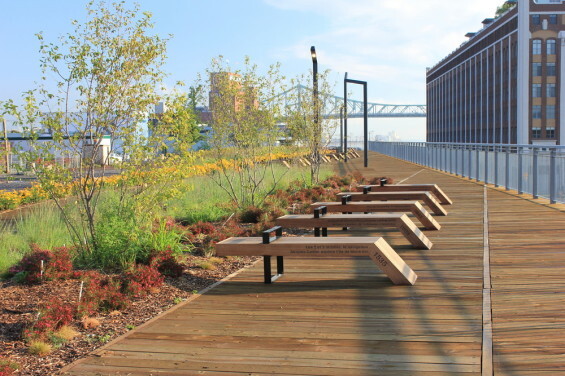 The new layout for the park creates an unconventional terrace, suspended between the city and the river. It becomes a platform for contemplation, offering 180 degree panoramic views of many architectural, industrial and landscape icons. The assembled views function as a stage set, bringing these emblematic witnesses of the island of Montreal to life. The long, narrow promenade progressively reveals the history of the site. The materials and furnishings are inspired by the industrial, railway and marine language of the Old Port. Wooden decking, benches, lamp posts, plantings, balustrades and waste receptacles all participate in the narration of the site. Wood benches, designed specifically for the project, are provided for the respite of strollers as well as for the contemplation of the site. Their angled backrests invite visitors to recline, and in so doing, to better appreciate the views. 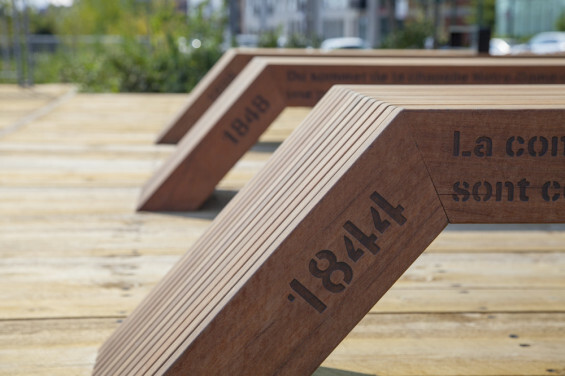 Fashioned of ipe wood, each bench is inscribed with a phrase that recounts an important event in the history of Montreal, from 1535 to the present. They are furthermore carefully positioned to direct views towards landmarks and panoramas, strengthening the connections between their engraved stories and the landscape. Both day and night, the light standards participate in the discovery of the site. 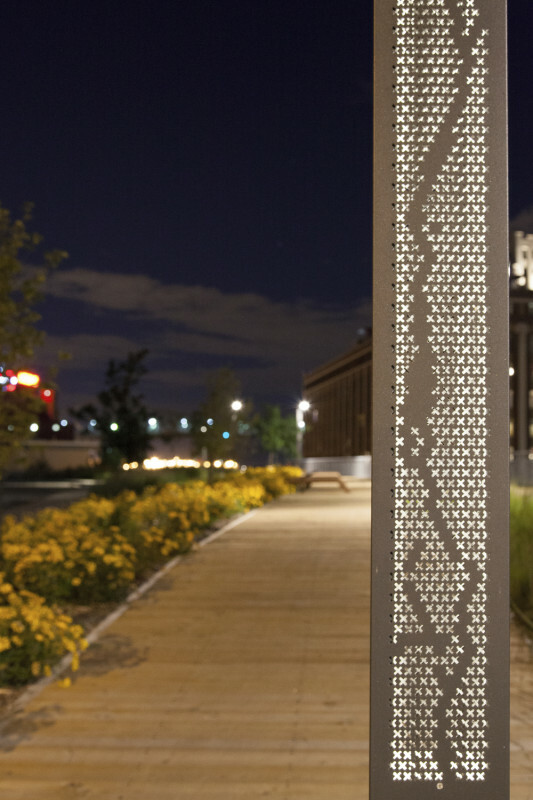 An image created by tiny perforations in the steel in the form of railway crosses is visible on the posts of select lamps and illustrates the outline of the St. Lawrence River from Montreal to the Atlantic Ocean. At night, the lights are liberated by the openings, creating a poetic image at the heart of the park. 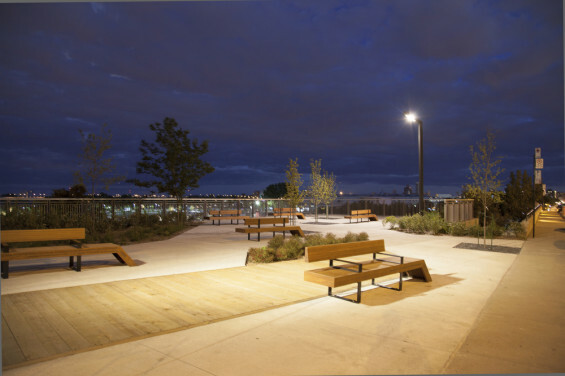 Combined together, the site furnishings and lighting give the park a signature, and allow it to share the fascinating story of Montreal through time. Plantings are laid out in linear bands and accentuate the railway grid. Several varieties of indigenous plants evoke the spontaneous character of the uncultivated landscape that developed during the years when the site was vacant, and left to grow wild. Shrubs, grasses and perennials are mixed together with wild strawberries and reinforce the botanical and urban re-appropriation of the site. Trees, also indigenous, provide a vertical framework for views from the lookout. 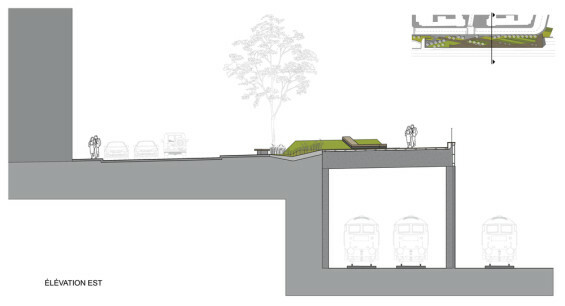 As seventy-five percent of the site is located on an existing railway tunnel, much of it is, in effect, a green roof. The new linear park improves the offering of green space in the neighbourhood and creates a cool and shaded retreat. In addition to native plants that optimize xeriscaping, other interventions related to environmental best practices are incorporated: the choice of light coloured materials composed of recycled, reused or sustainable materials; the sourcing of local materials and selected equipment; and the use of woods that respect the requirements of sustainable forest management. With a length of 166 metres, the linear park welcomes neighbourhood residents to enjoy its fun, safe and friendly space in the city centre. City dwellers traverse it, cyclists stop by to enjoy a break, and tourists visit it to take in the views and discover the history of the city and the site. 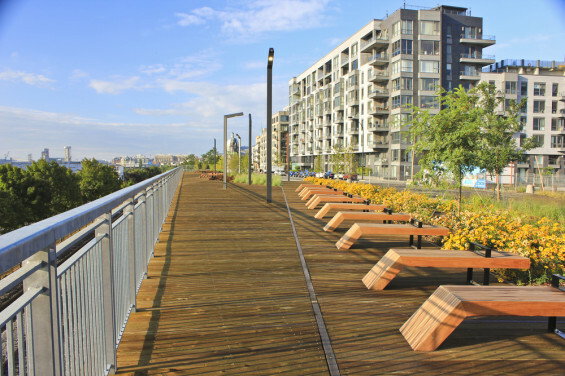 The Chemin-Qui-Marche Lookout possesses the necessary ingredients to support the urban appropriation of the riverbank, and to become a landmark for the neighborhood and the city. 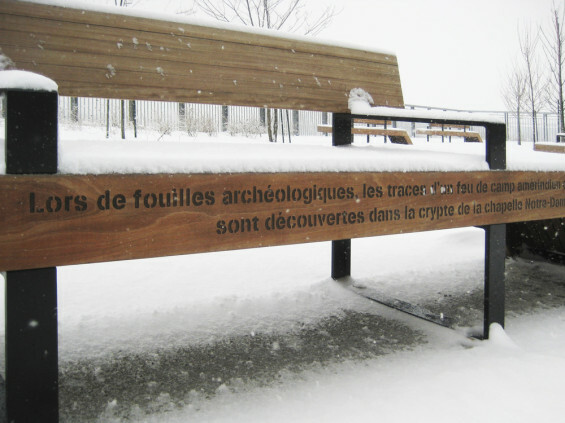 The Chemin-Qui-Marche Lookout is a living place thanks to its evocative design. Simultaneously, the elements of its composition support walking, resting and discovery. The sleek and minimalist layout leaves room for people to inhabit it and create a unique meeting place, the spirit of which is rich and timeless. 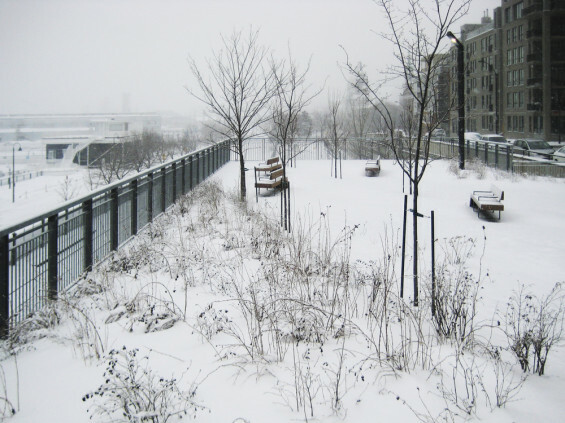 The lookout becomes, at a more modest scale, a major destination for strolling, similar to the Samuel-de-Champlain Boardwalk in Quebec City, the Wave Deck in Toronto, and the High Line in New York.